Sitting up is hard. If you want to read or watch TV you do typically have to be upright, or lying at an incline at best. 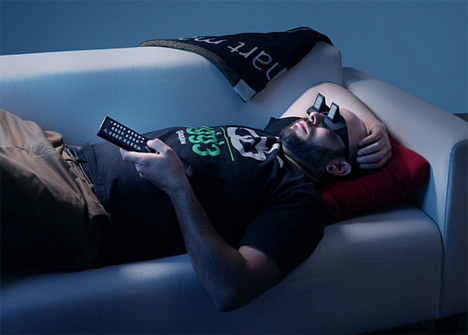 The Lazyglasses from ThinkGeek let you be as lazy as you want to be. 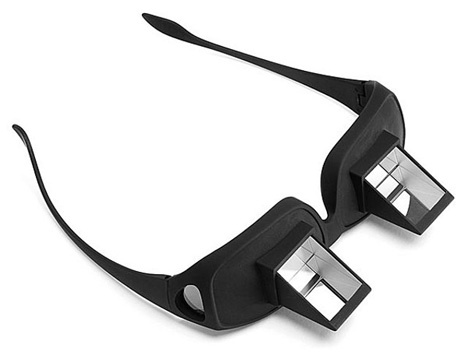 The Lazyglasses are glasses equipped with angled mirrors. The mirrors let you lie flat on your back as you watch TV, use your laptop or even read without getting the dreaded book-related arm strain. Of course, there are non-lazy reasons for needing to stay flat on your back. 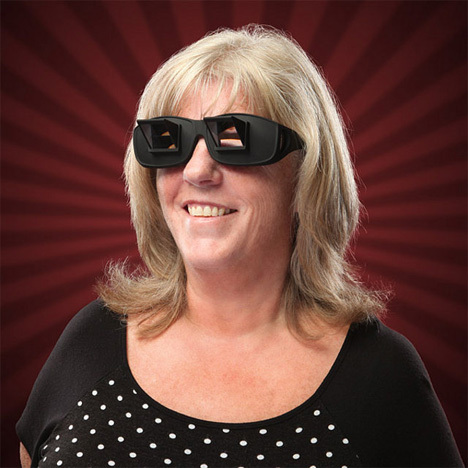 Just after you’ve had surgery, or when you injure your back or neck, there’s nothing better (between painkiller-induced naps) than watching a movie without moving a muscle.